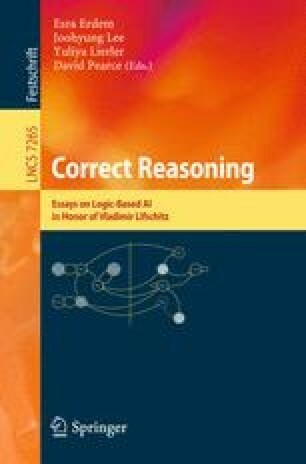 Recently, an answer-set programming (ASP) formalism of logic programing with the answer-set semantics has been extended to the full first-order setting. Earlier an extension of first-order logic with inductive definitions, the logic FO(ID), was proposed as a knowledge representation formalism and developed as an alternative ASP language. We present characterizations of these formalisms in terms of concepts of infinitary propositional logic. We use them to find a direct connection between the first-order ASP and the logic FO(ID) under some restrictions on the form of theories (programs) considered.